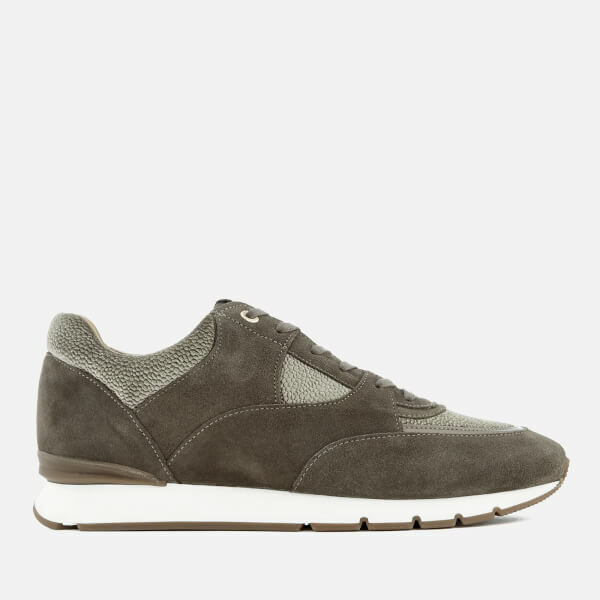 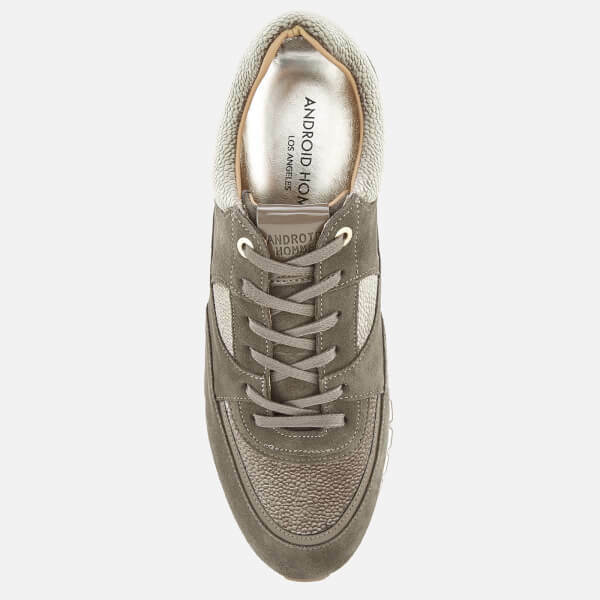 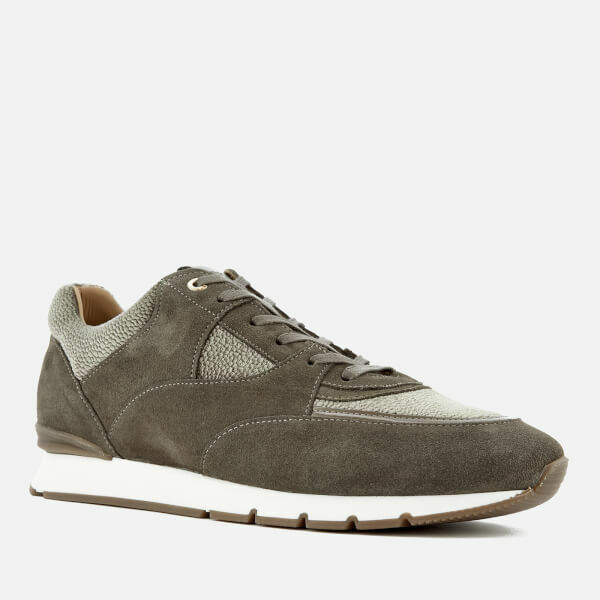 Men’s grey suede and textured velvet trainers from Android Homme. 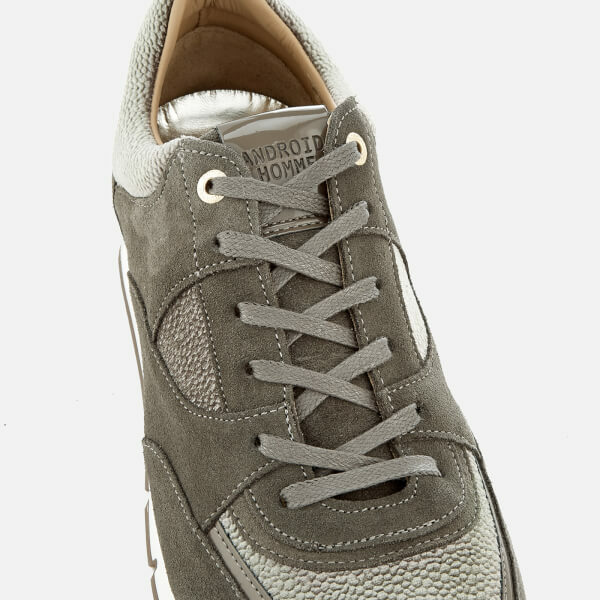 Based on a classic running silhouette, the ‘Belter 2.0’ sneakers are detailed with stingray embossed panels, gold-tone metal top eyelets and patent leather detail around the toebox. 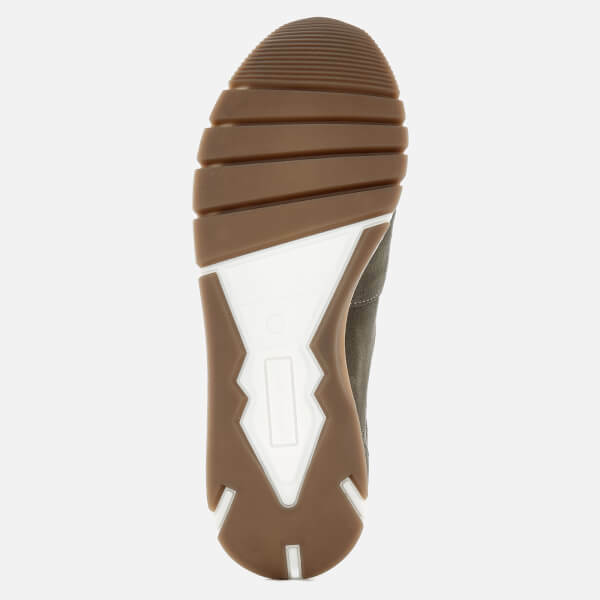 Set on a white cushioned white midsole with a textured outsole, the trainers are complete with a tonal heel counter, embossed branding to the tongue and a padded ankle collar for comfort.